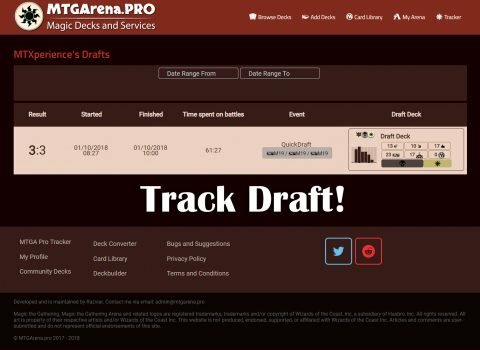 MTGA Pro Tracker is advanced Magic The Gathering Arena tracking tool designed to automatically upload collection, decks, battles, draft and inventory from your game client to our server. No manual collection input, no manual uploads. 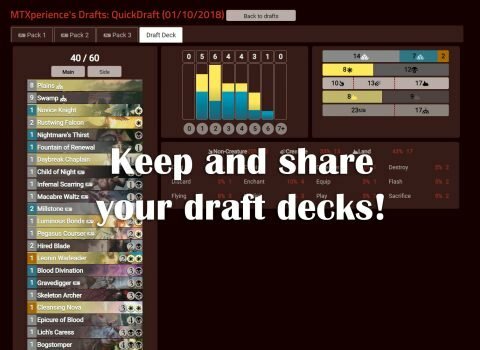 New cards, battles, drafts are added immediately after events are happening in the game. See Tutorial to find out how to use it. 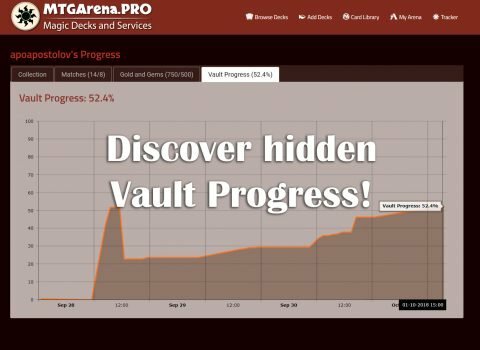 What can I do with MTGA Pro Tracker? 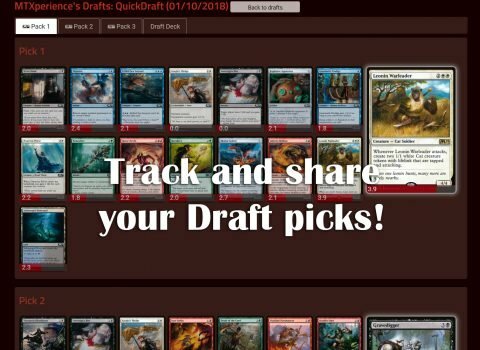 Track everything in Magic Arena! 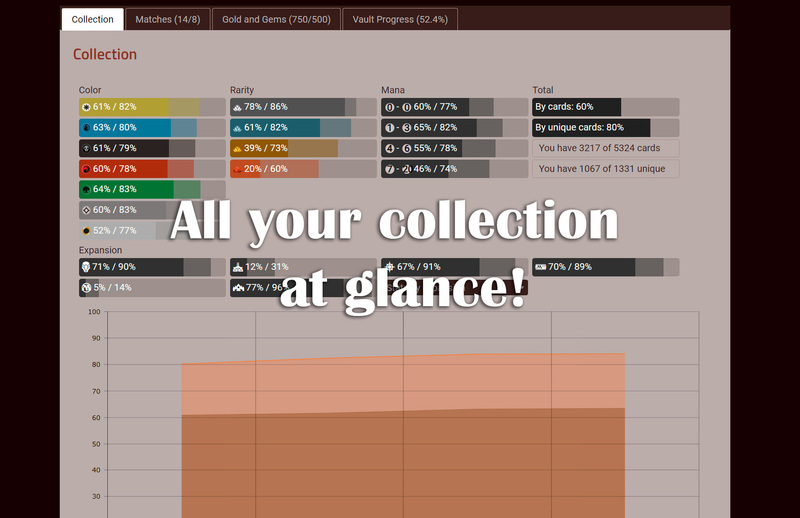 Customize every detail of the interface. Alt+~ to collapse/expand the overlay. Alt+O (not zero, letter O) - to completely hide overlay or show it back. IMPORTANT! Program needs .NET 4.6.2 or higher to work. If app doesn't start on your PC (no interface shows up after you launch EXE) you should install .NET from here! 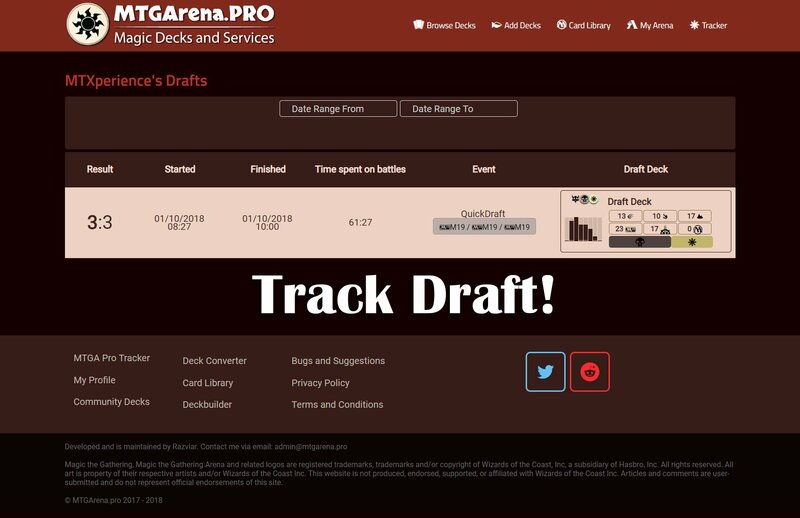 Download MTGA Pro Tracker latest release from GitHub. USE ONLY DOWNLOADED FROM GITHUB MSI! 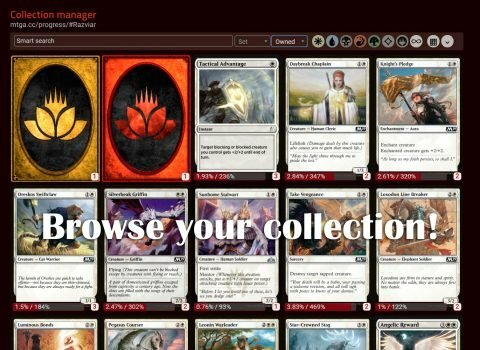 Get your token from widget on the top of the page. You must be registered user to get token! Copy this digit-letter code and paste it to input field of Tracker app. 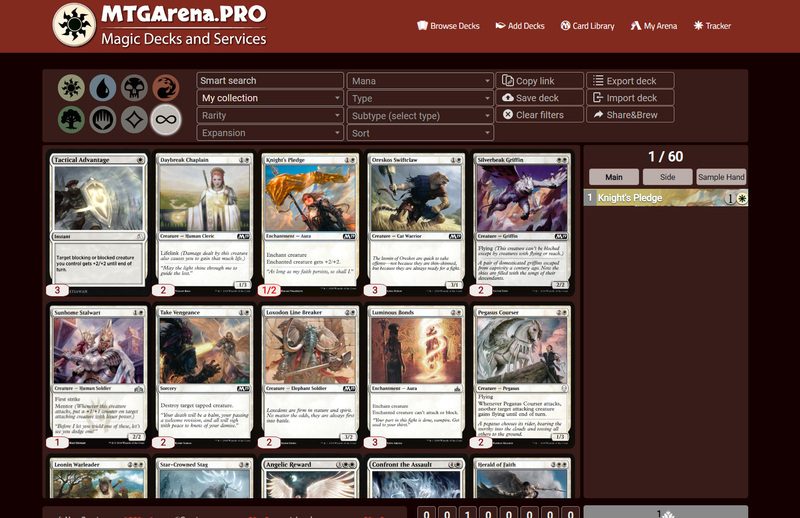 Right after you paste the code, your username (from MTGArena.pro website) will be displayed in the app window. Tokens are being stored, token authorization happens just once. Next time you launch the app, it will remember youyr token and username. That's it! 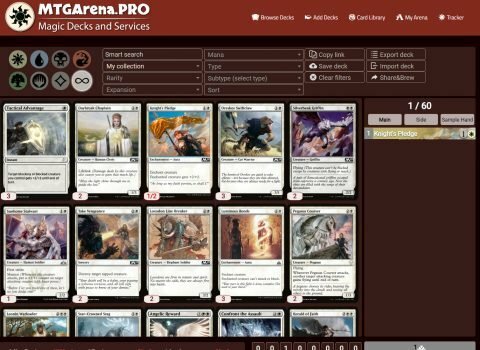 If you've launched MTGA on his PC before, upload will start instantly. 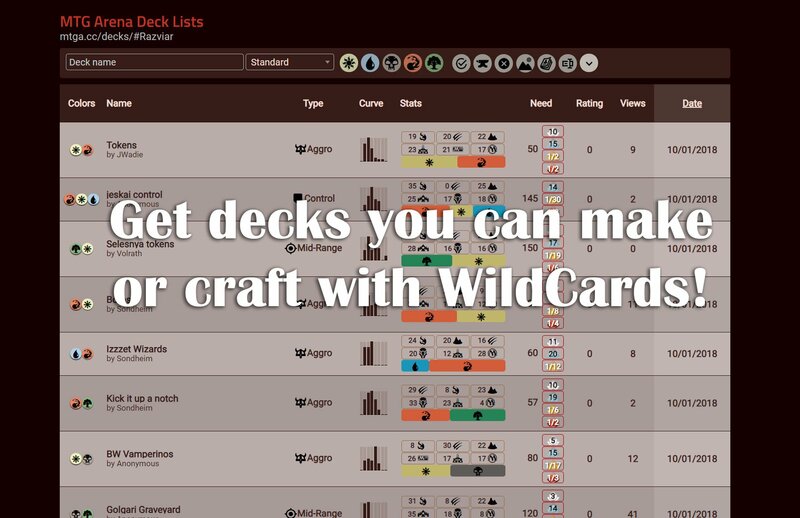 And when new cards will be added, those will be updated as well. Make sure you have latest version v.1.6.6 downloaded from GitHub. 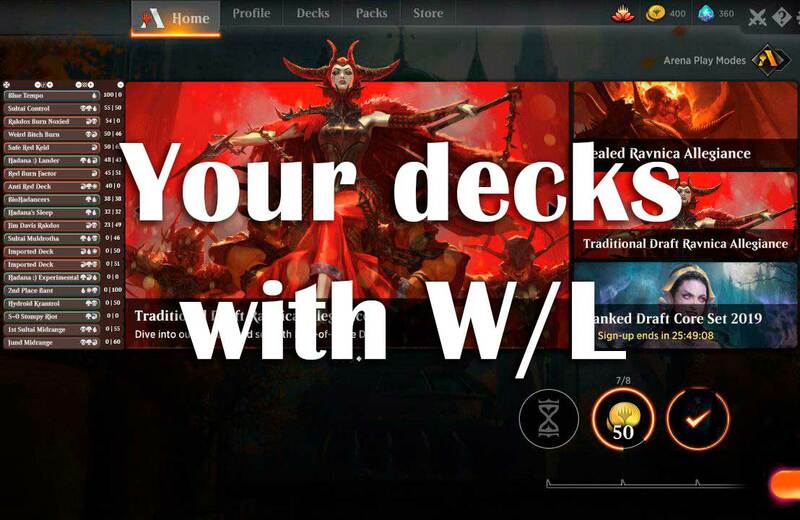 It's updated to be compatible with latest MTGA version. 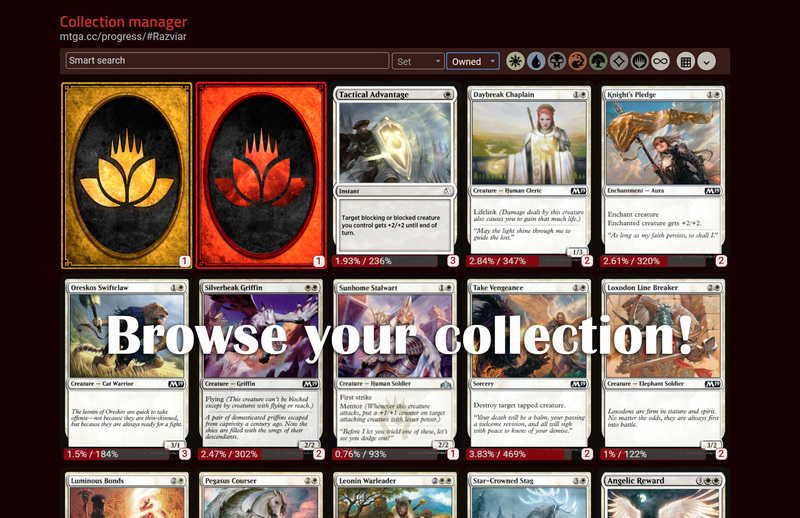 If you are able to see app interface, just click FULL RESET button, then re-input your token. This action DOES NOT affect already stored in your account informaion. 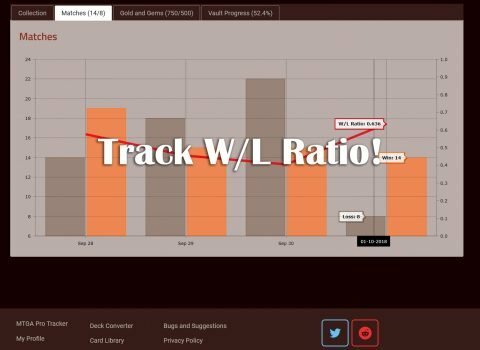 Is it legal and safe to use Tracker? The program is legal to use because it does not modify any game executable files and/or hacks game to get information from it. We just use open logs, available to every user, from AppData directory. Also we don't have any sort of in-game support tools, so it can't be called cheating. 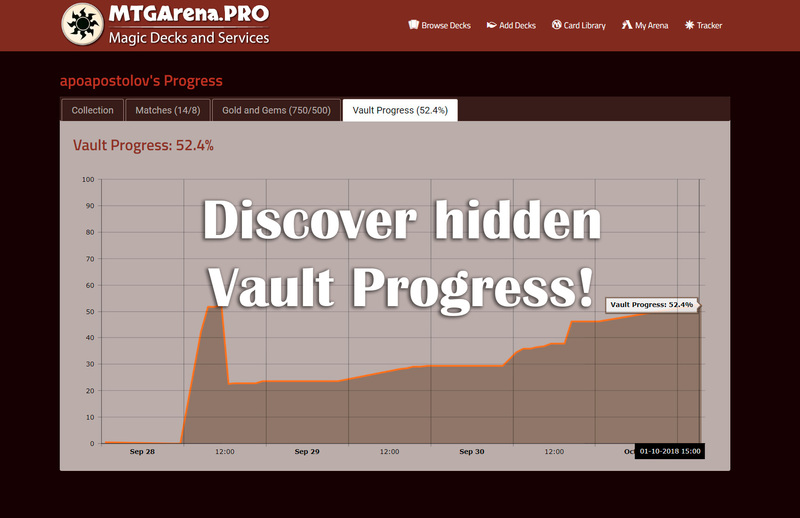 It just keeps record of your game process history. Also, app code is digitally signed, publisher is trusted. Open an issue on Git! Normally program updates itself automatically when updates are avaliable. But sometimes this mechanism may not work. So if you see, that program version in lower right corner is not the same as on this page, you should download new version and replace EXE. User token will remain installed. Starting to fix bugs, caught by monitoring system. 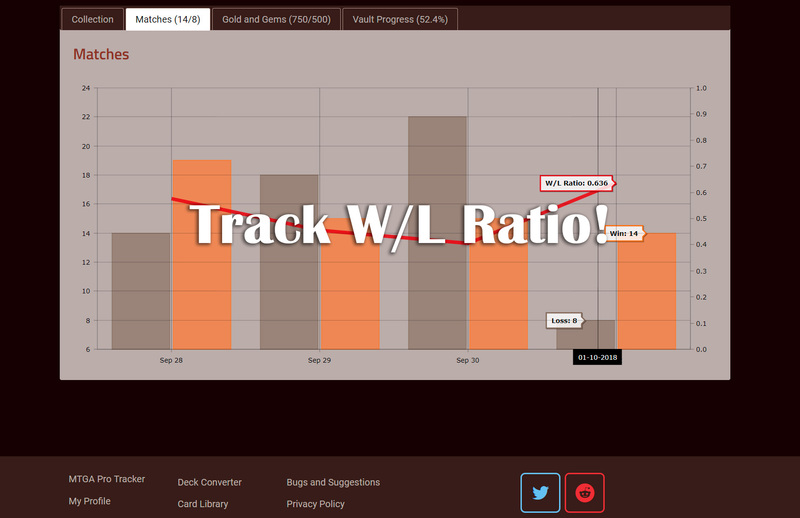 Significantly improved crashes tracking, which will let us to improve stability in the next releases. Proper registry keys removal on uninstall. Overlay bugs fixes according to users reports. 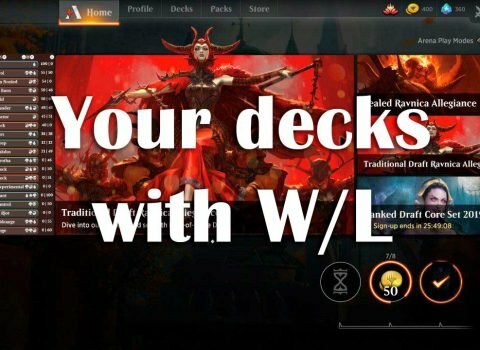 Now decks are rendering properly after first match played. Option to disable hotkeys (if they overlap with other software you use). Better data upload: now all events happening in singe second time span will be processed correctly (it was only the latest event from the second processed before). Many tiny fixes, leading to better stability. 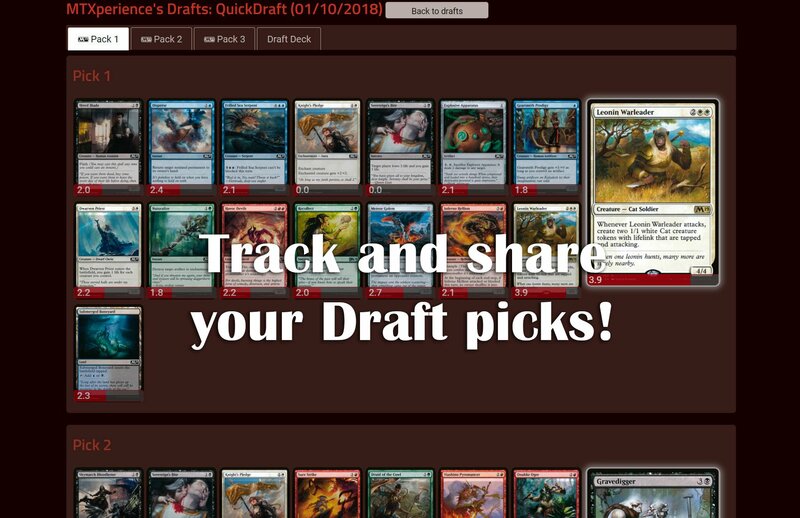 Changed “other trackers policy”. Now app just warns you about the risks, and warns you once per run. 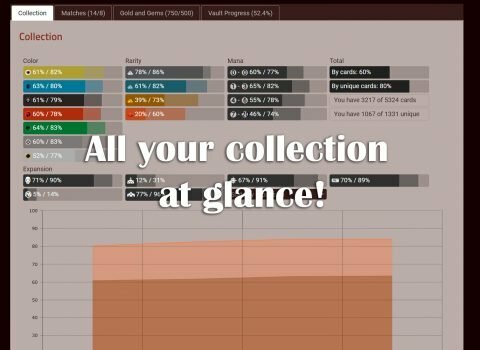 You can use several trackers at your own risk. Code signed. Now antiviruses will not get triggered with our software. To enable overlay just click respective button in the app interface. Notifications from developers in the app. So you will not need to look for info about tracking issues on Twitter or Reddit. Better update notifications. You will see update button right after update is out. 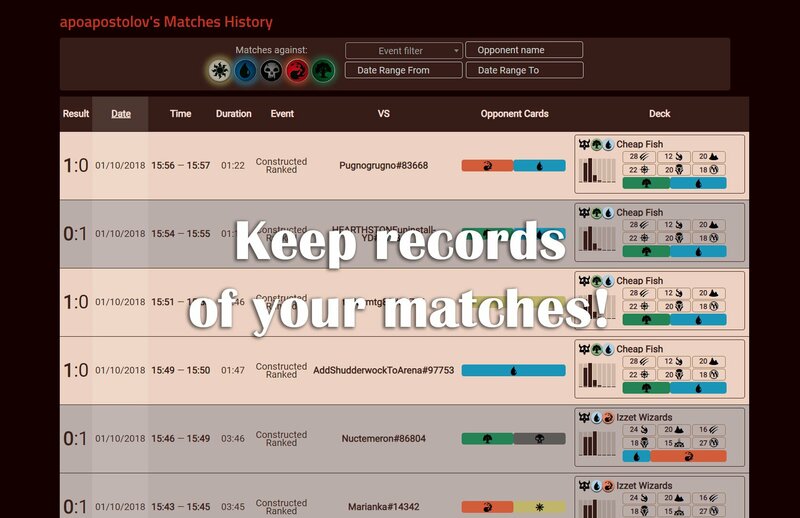 More stable matches tracking. 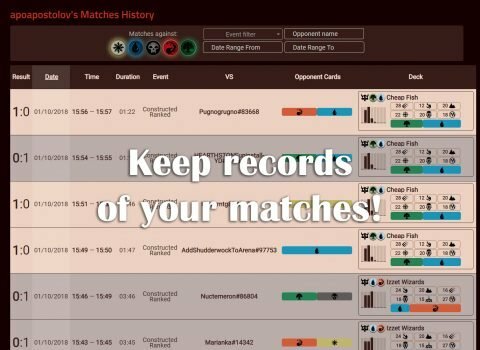 No opponent’s cards from previous matches will get into next match. Remote restart. Now tracker will restart itself when needed. So new features will be available without action required from user. Protection from log overgrowing. 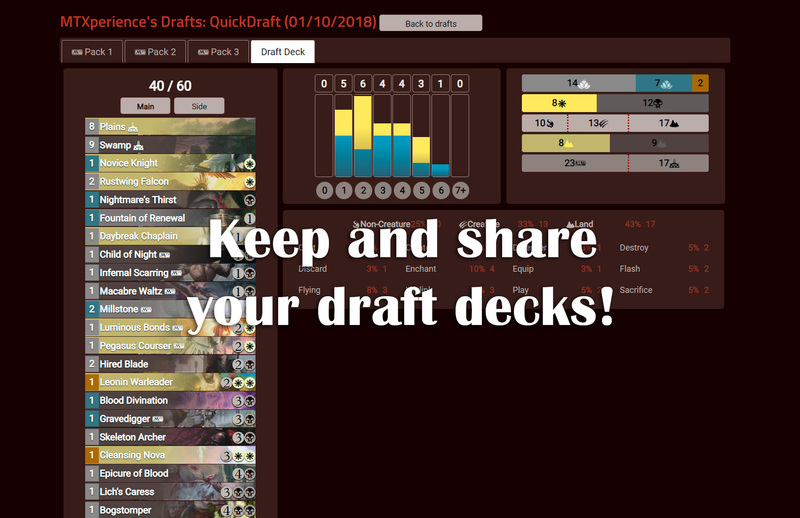 Now if your MTGA log grows huge, app deals with it properly. More stable uploads. Risk of tracker get stuck so you need manual full reset is minimal. 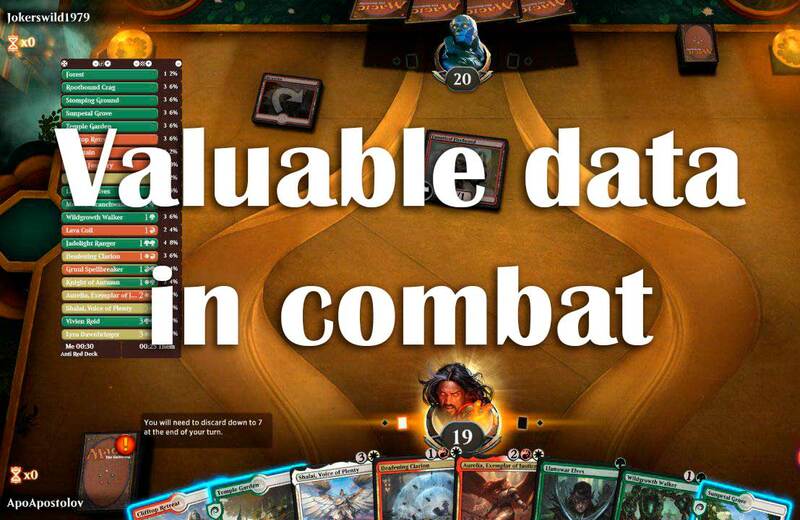 In-game time counter. 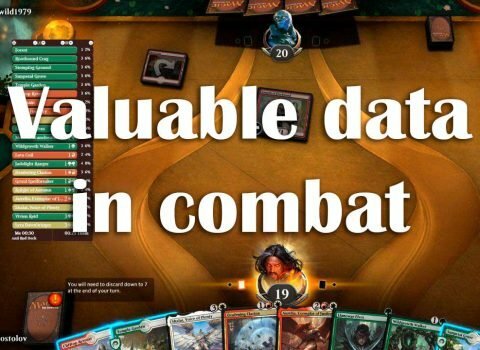 You will now how much time you spent on MTGA on daily basis. Fix of unwanted behavior when app uploads old data from the log on every startup, even if that data already was uploaded. 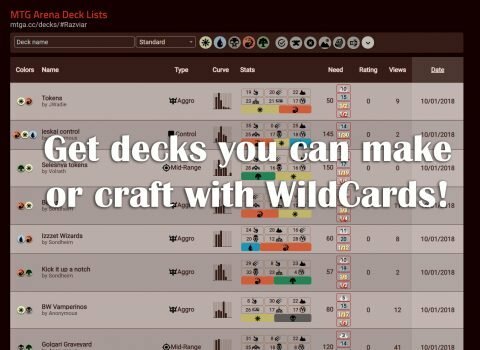 Backlog: still no direct challenges decks detection. Will add this feature later. Want to be part of development process? Welcome to our Patreon! There you can support us and get involved! Also you can get some insights at our dedicated Subreddit.